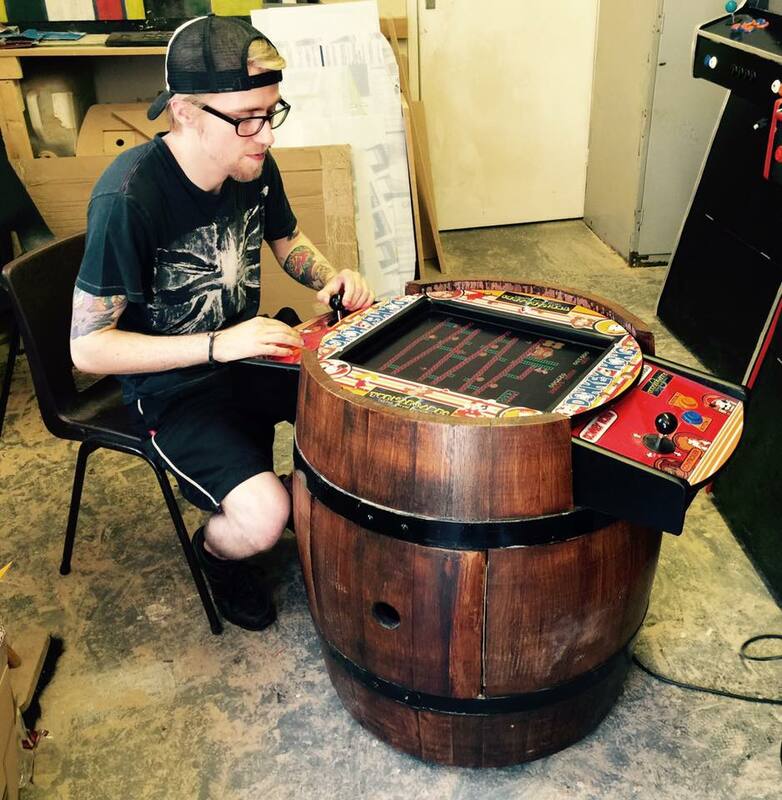 Turnarcades showcase their Barrel Arcade which will make its first appearance at Revival Soltice 2016 at Banks’s Stadium, Bescot Crescent, Walsall, WS1 4SA in the UK, on the 30th and 31st of July 2016. 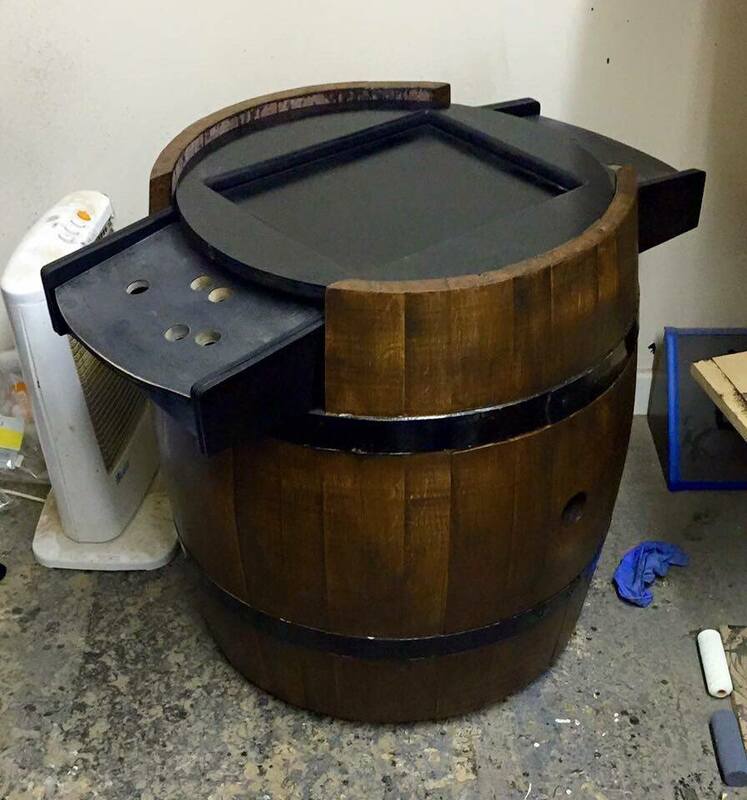 Builder, Craig, now has the unit up for sale for a mere £800, which is an absolute bargain for any collector (contact him here). 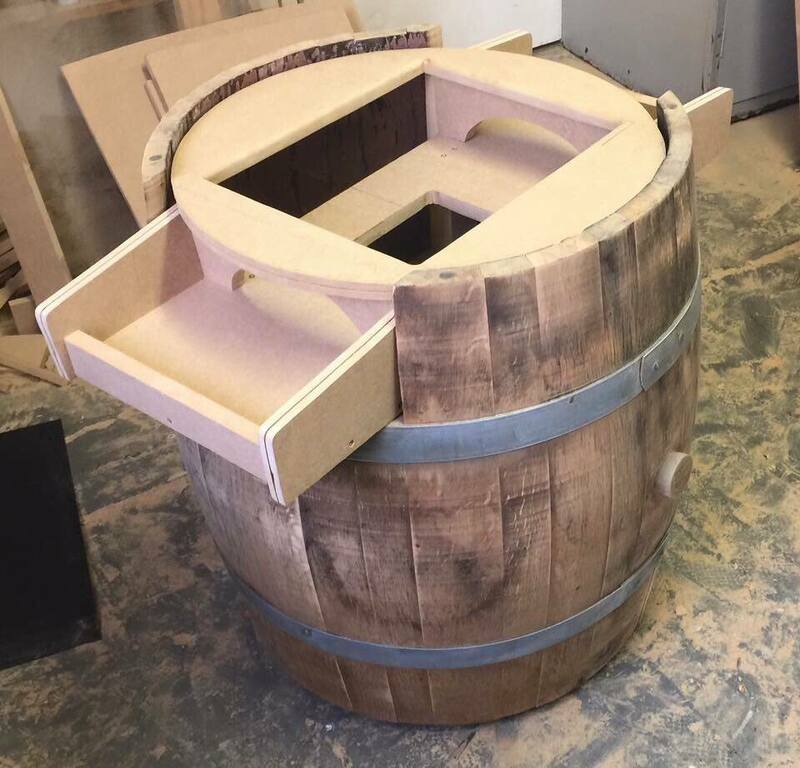 The project has taken just over 7 months from start to finish although Craig explains below that he actually sourced the barrel in Christmas of 2012, like any good cabinet builder he waited for the right time. 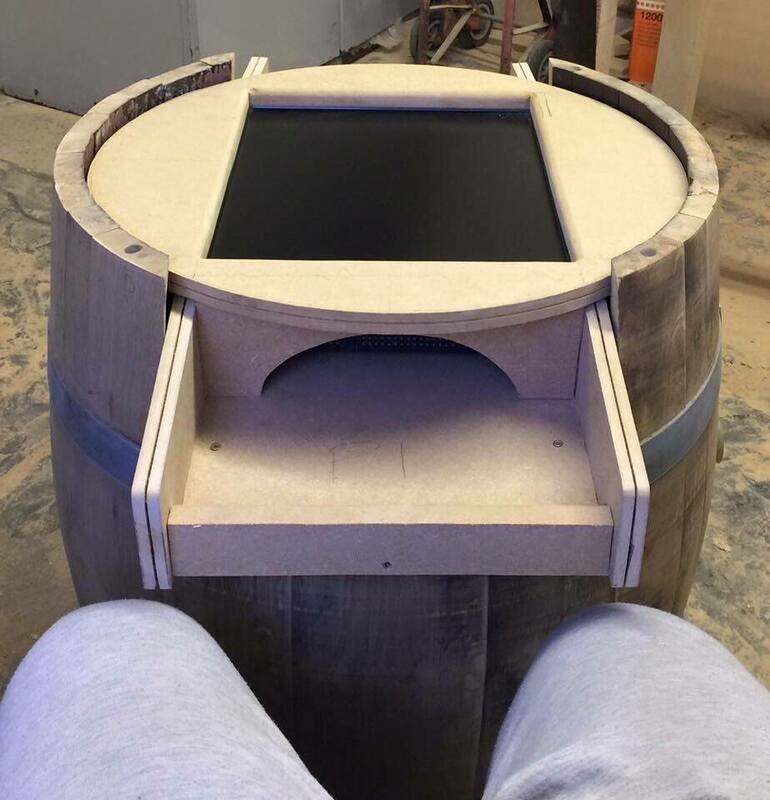 At Turnarcades we specialise in custom. In fact we are the only build company in Europe who designs, cuts and builds every single machine individually from the ground up exactly to the customer’s requirements, loosely based on our rough plans which we created ourselves. We have to improvise as we go along and this often means thinking outside the box of rigid precise plans and construction methods. 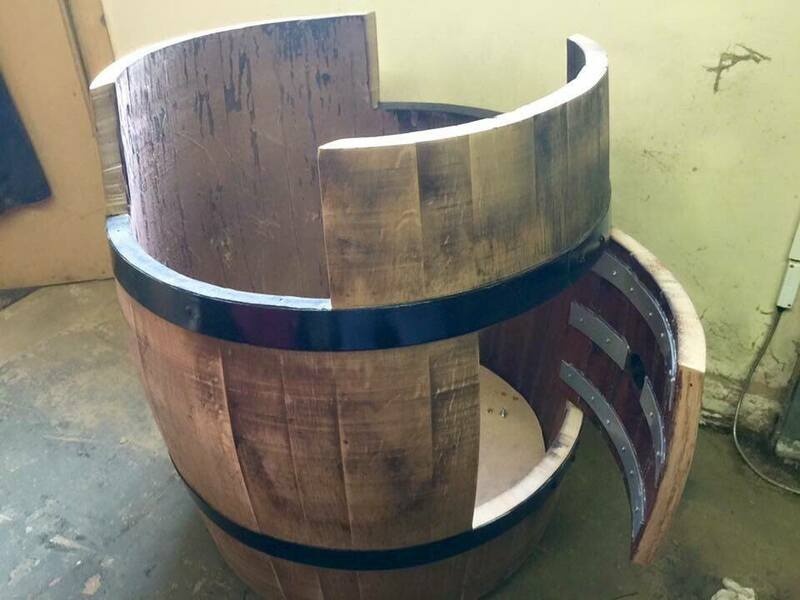 Over the years we’ve refined our methods and this means more time can be spent on the artistic side of the process. 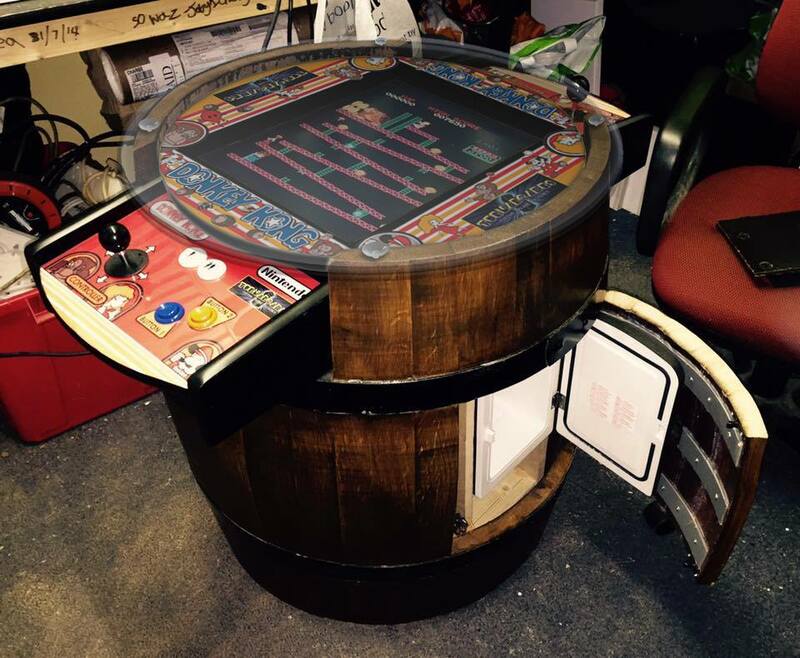 Small mods turn into grand ideas, and leads us to planning some really unusual machines. Designs are one thing, but it takes a lot of time to think about how to actually make them practical. A few years ago a European forum member built his own arcade using a tall barrel, but it didn’t look very comfortable to play. I looked at what he had done and tried to envision how it had gone together. Once I did I decided it could be done much better, so with our experience I went back to the drawing board and sketched a process from scratch. 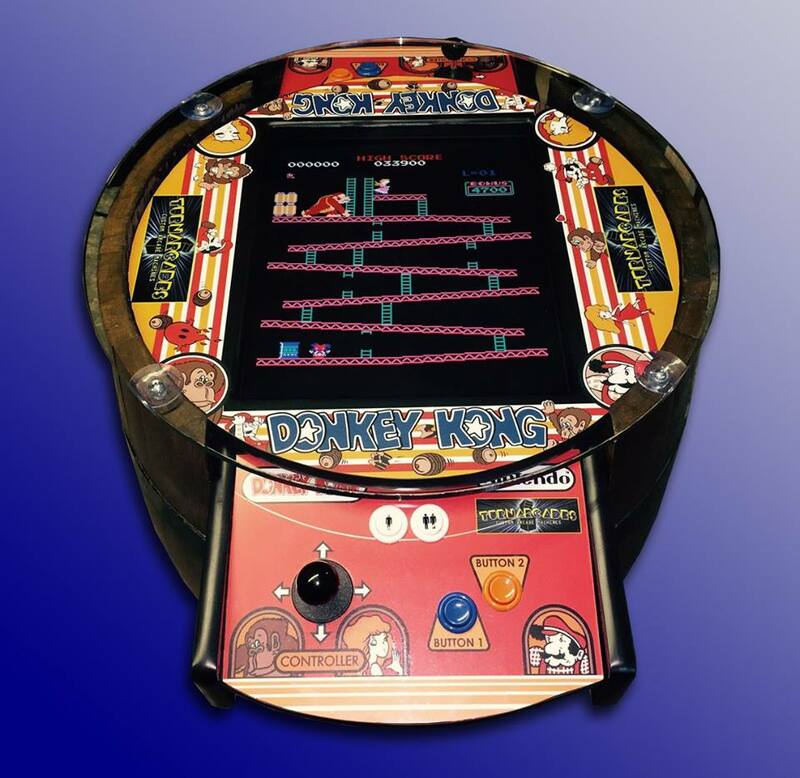 The principal was fine – it’s designed to be a quirky piece of art, but that doesn’t mean it can’t be a great machine to play as well as a great looking piece of furniture too! 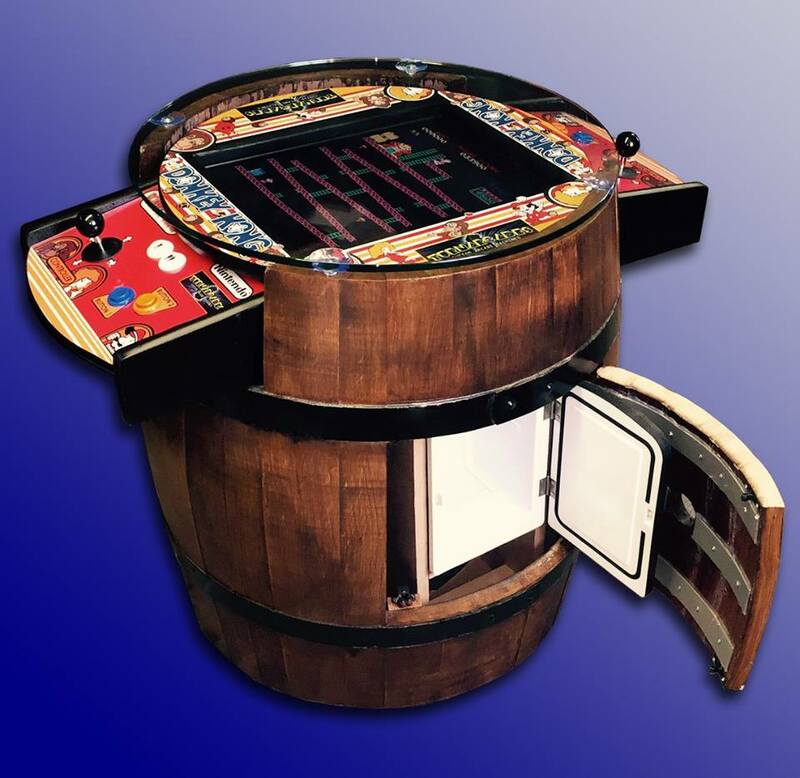 When I designed it I thought about who would want to own this, and decided with so many gaming cafe’s, man-caves and the like cropping up and more casual gamers wanting to get back into arcade gaming, it needed to be a much simpler solution than a complex PC setup, so I instead opted for a fully JAMMA-wired installation. 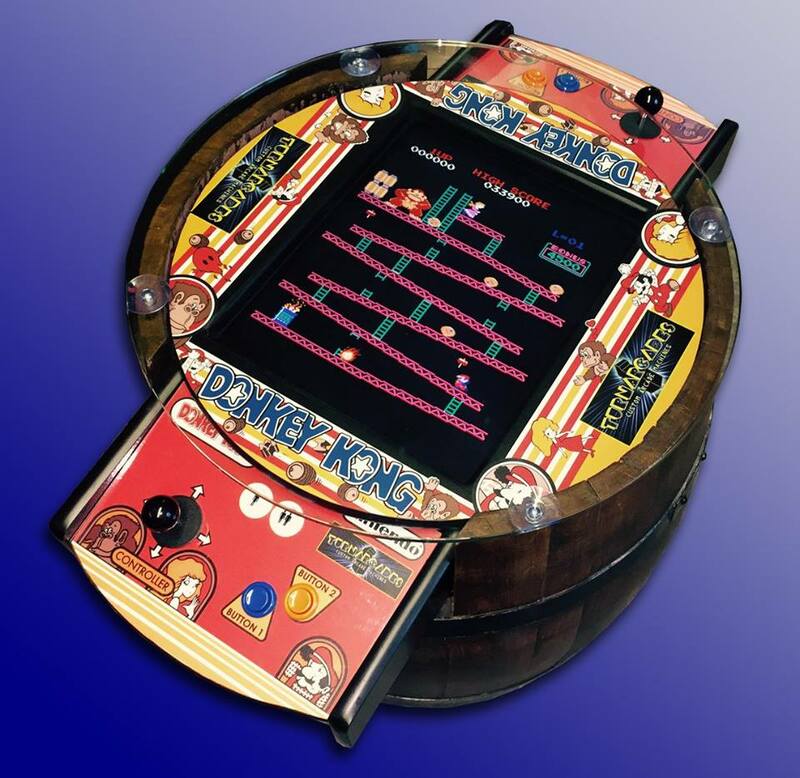 The best games to play on cocktail style machines are the true classics, which were mainly vertical screens, so we installed a 60-in-1 JAMMA PCB which has games like Pac-Man,Galaga, Space Invaders and of course, the Donkey Kong series, which is perfectly relevant to the barrel design – It also means other original boards could be fitted, at a later date.. I don’t have specific plans, as we make up so much of it as we go along. 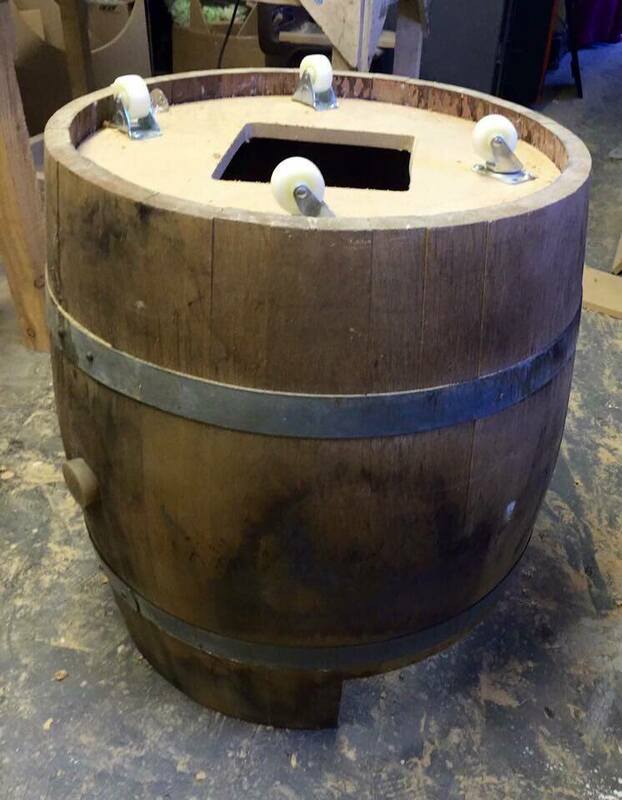 I originally sourced the barrel back in 2012, but only got round to working on it just before Christmas last year after many rethinks. 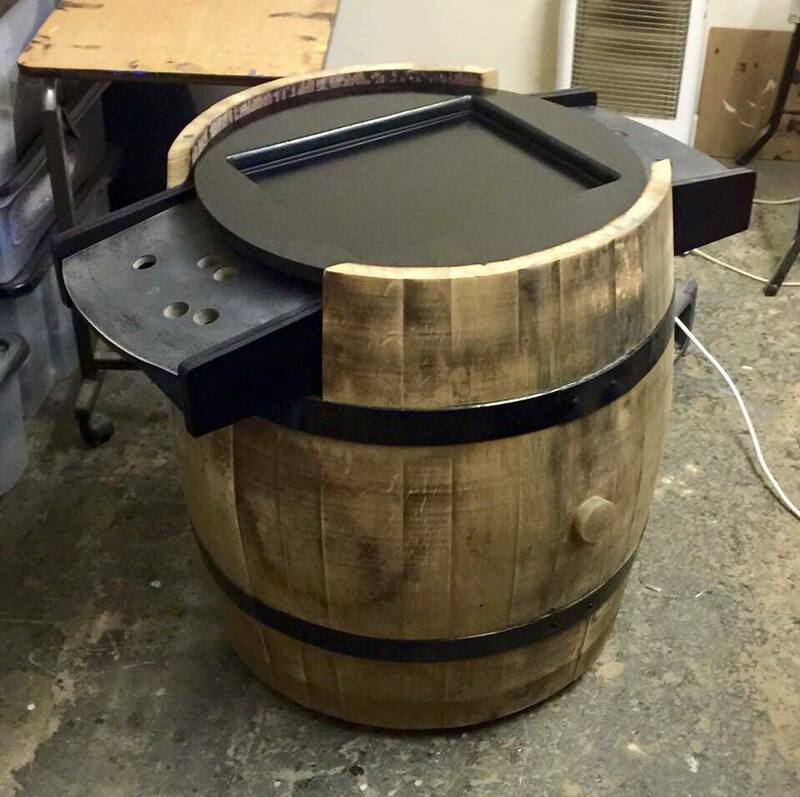 Rather cleverly, it’s been designed so the entire operating section comes out as a complete rig – the PSU, board, monitor, controls etc are all attached to one solid wood chassis that simply lifts in and out of the barrel for easy servicing. 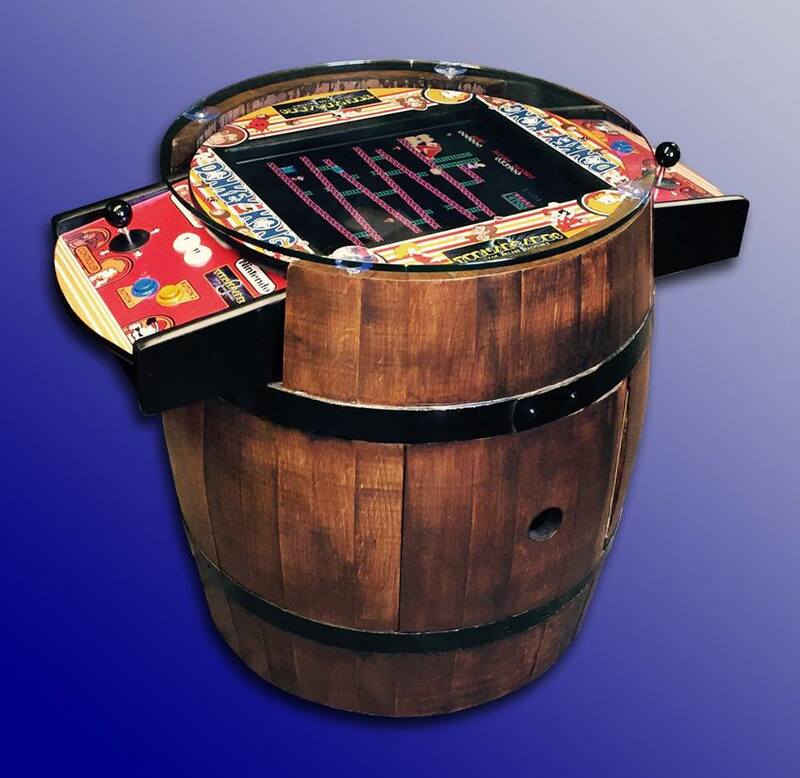 It helps keep the barrel balanced. The fridge was a later addition after looking if the large empty space inside could be better used. 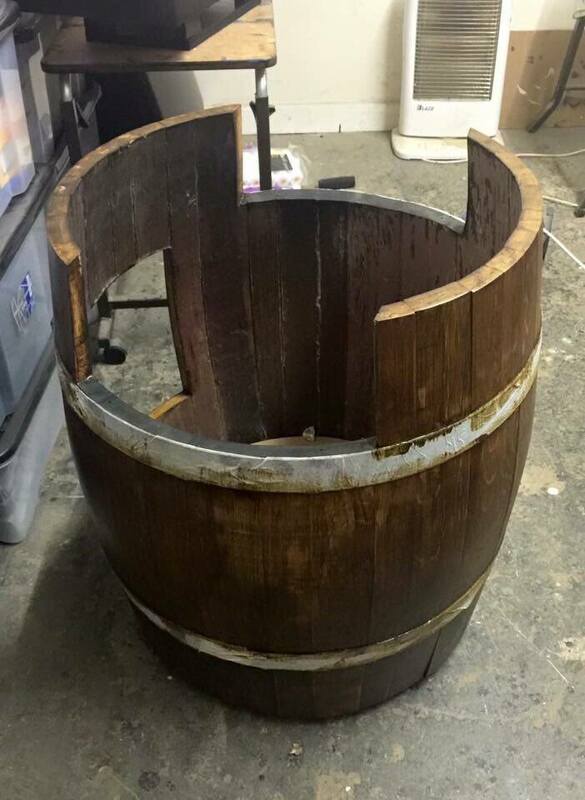 The hardest part was that the barrel is not entirely symmetrical so thee is a lot of alteration needed and cutting through 1″ oak is incredibly difficult!